The IQOS 3 Multi combines the Holder and Pocket Charger in one device. It can be used up to 10 times in a row. WHATS ELSE IS IN THE BOX: IQOS 3 MULTI, Power Adaptor (Pale Blue), Charging Cable (Pale Blue) & 1 IQOS Cleaning Tool. The IQOS ORIGINAL™ leather pouch for IQOS 3 MULTI. IQOS 3 MULTI can be used while in the pouch. Slim construction material adds little weight and your IQOS 3 MULTI can be charged without removing from the pouch. 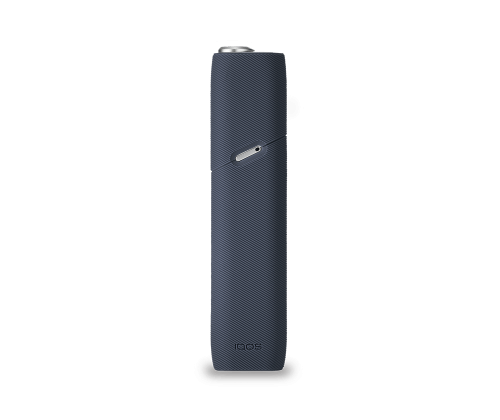 The IQOS ORIGINAL(TM) silicone sleeve is a two pieces slip-on silicon sleeve for a cap and a body. The silicone sleeve allows charging through cable without removing the sleeve. The IQOS ORIGINAL™ car mount easily clips into any cars vent with the rubber grip, so you can access the charging port to ensure your IQOS 3 MULTI is always charged. With the car mount you can open the pocket charger and access the holder without removing it from the car mount. Includes 30 single-use cleaning sticks, coated in cleaning detergent adapted for your IQOS Holder and Cap. The cleaner’s integrated brushes allow to thoroughly clean your IQOS. Simply twist to clean (recommended to clean your IQOS holder after 20 HEETS tobacco sticks). Charge your IQOS device using the IQOS USB cable. The USB-C cable is compatible with IQOS 3 and IQOS 3 Multi. For optimal charging performance of the IQOS device, use IQOS original charging components. The AC Power Adaptor is compatible with IQOS 3 and IQOS 3 Multi. This product is not risk free and is addictive. For adult use only. © 2019 Philip Morris Products SA. This site contains information on a product containing tobacco and is reserved for smokers over 18 years old residing in Netherlands. ARE YOU A SMOKER AGED 18 OR OLDER? This website is reserved for smokers of 18 years and above.